QUEENS, New York (WABC) -- Police are looking for three people wanted after victims had money stolen from their bank accounts through skimming devices attached to ATMs in Queens. 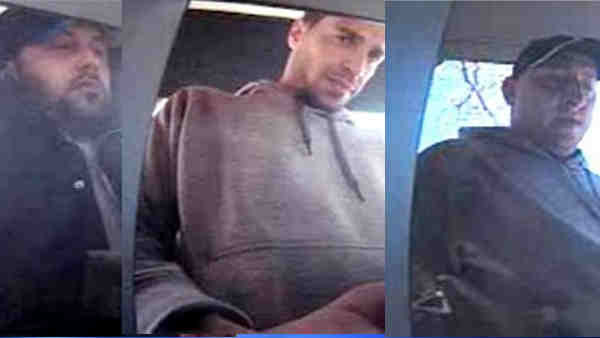 Between Jan. 7 and June 1, according to the New York City Police Department, the suspects placed and removed skimmers and PIN-capture devices on ATMs at various banks. They used victims' personal information picked up by the devices to make unauthorized withdrawals and purchases, police said. The first individual is described as a white man, 25 to 40 years old, wearing a gray hooded sweater and a dark colored baseball cap. The second is a white man, 25 to 40 years old. Last seen wearing a white sweater and sunglasses. The third is described as a white man, 25 to 40 years old, with a beard. He was last seen wearing a black hooded coat.